It’s breakfast for dinner again in my house. When I ask the kids for dinner requests for the week, pancakes or waffles are almost always suggested. More specifically, Spud requested Chocolate Waffles. We’ve been on the quest for chocolate waffles for quite some time. Chocolate waffles are tricky, because most chocolate waffles are dessert waffles, calling for brownie mix and a scoop of ice cream, or 4 ounces of chocolate, tons of sugar. 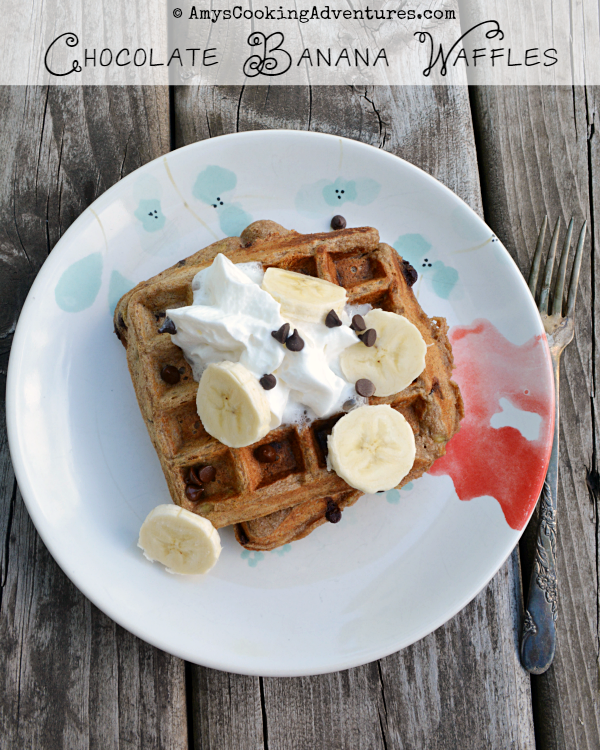 Several months ago, I found a recipe for “healthy” chocolate waffles. They called for whole wheat flour and cocoa powder, and just a bit of sugar. I was very skeptical (cocoa powder can be pretty strong), but I gave it a try. So the quest continued. This time, I only used a little cocoa powder, and let mini chocolate chips take care of the chocolaty piece (I used ¼ cup, but I think next time I’ll knock it down to 2 tablespoons). I let bananas and just a dash of honey take over for the sweetness. Then I thought, hey, let’s not go all the way and make add some extra protein into these waffles? So protein powder, flax, and peanut butter joined the party! 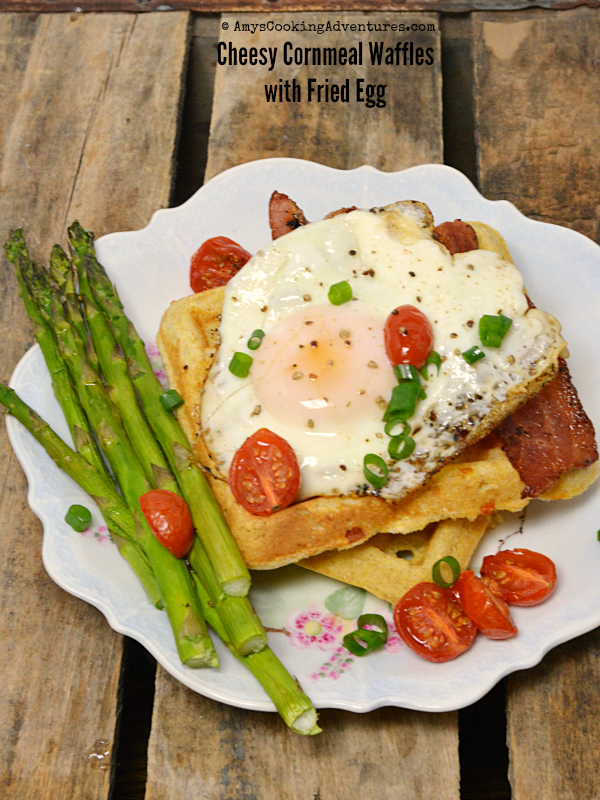 These were healthy little flavor bombs, and the 8 waffles the recipe made fed the whole family. The kids were happy with the chocolate and I was happy with the protein and bananas! Win! -If you don’t have the protein powder or flax, replace them with additional flour. In a large bowl, whisk together the flours, flax, protein powder, cocoa, baking powder, and salt. In a separate bowl or large measuring cup, whisk together the banana, egg, honey and peanut butter until thoroughly combined. Whisk in the oil, vanilla, and buttermilk. Pour the liquid ingredients into the dry ingredients and stir until mixed. Fold in the chocolate chips. 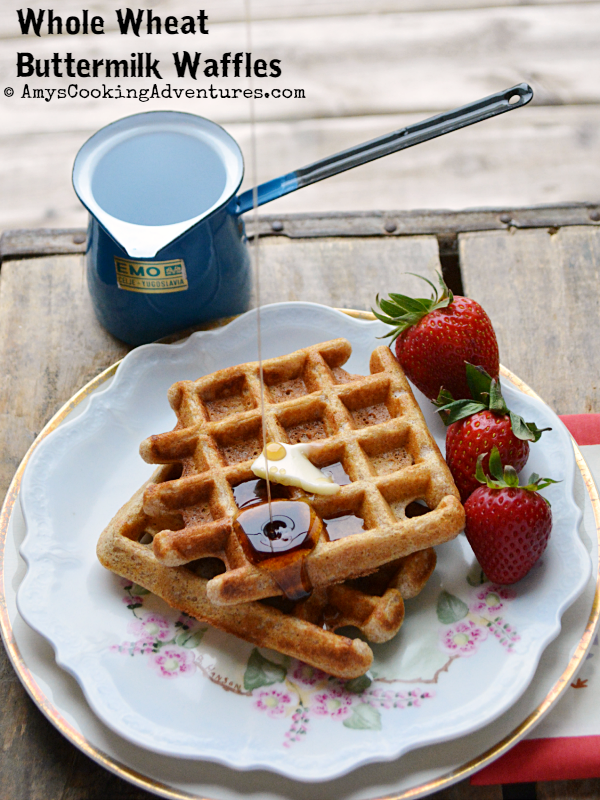 Spray the preheated waffle iron with nonstick spray and add the recommended amount of batter. Cook until browned. 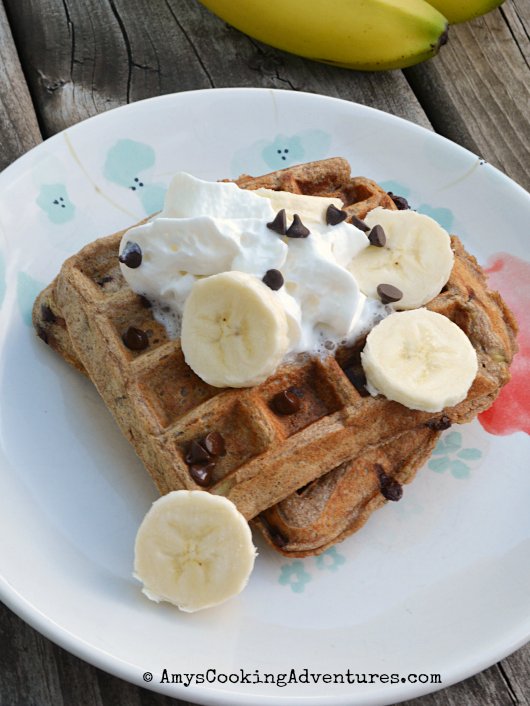 Top the cooked waffles with a dollop of whipped cream, banana slices, and chocolate chips. 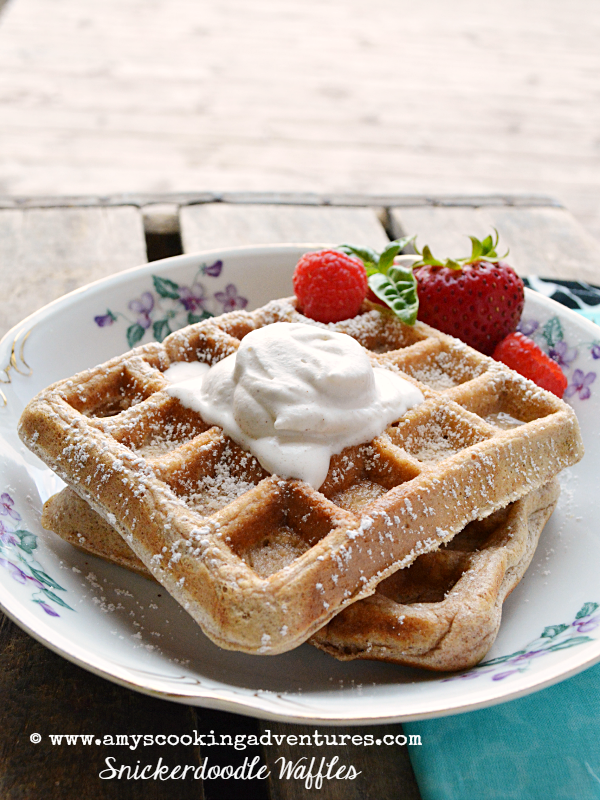 I love waffles! These look amazinggg! But hmmmm I have a recipe on my blog that sounds like what you described and I loved it (http://www.cookingactress.com/2013/05/whole-wheat-double-chocolate-chip.html) --but maybe it's the difference between whole wheat pastry flour and full on whole wheat flour?